1,600 lbs. to 2,200 lbs. 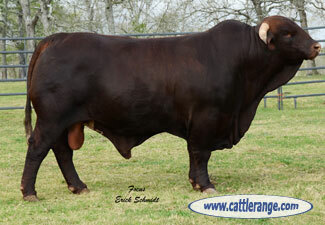 We have worked really hard to provide the best bulls and females in the Santa Gertrudis breed. 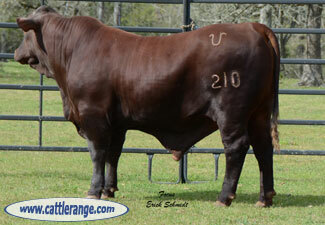 This group of bulls are sons of Hellacious 750 and Bulletproof 4-30. Those two bulls have made a name for themselves and these pictures of their sons show why. Give us the opportunity to increase the weaning weights and looks of your herd. If you're not in the registered business cross these bulls with your females and make some beautiful heifers for your commercial herd. Bulls like ours crossed with a Hereford will produce an awesome set of Star 5 heifers that top the market year after year. 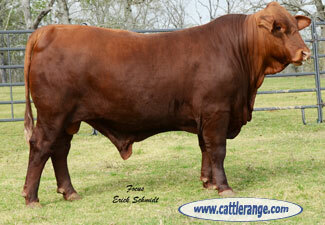 That cross would offer the same qualities of an F1 Braford, but offer better consistency as well as docility. These traits make it easier to breed commercial heifer projects or a matching set of front pasture cattle. 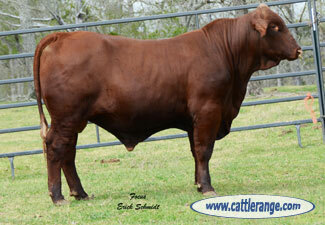 We have these bulls priced from $2,000 to $4,000 depending on their age and pedigree.